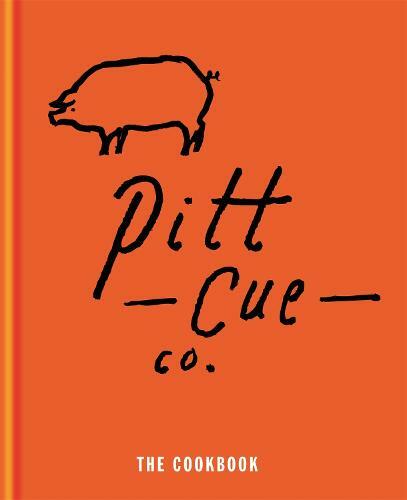 With great recipes for meats, sauces and rubs mixed with ideas for pickles, slaws, puddings and cocktails, plus features on meats, equipment and methods, the Pitt Cue Co. Cookbook is your guide to enjoying the best hot, smoky, sticky, spicy grub all year round. From Pitt Cue's legendary Pickle backs and bourbon cocktails, to their acclaimed Pulled pork shoulder; Burnt ends mash; Smoked ox cheek toasts with pickled walnuts; Lamb rib with molasses mop and onion salad; Chipotle & confit garlic slaw; Crispy pickled shiitake mushrooms; Toffee apple grunt; Sticky bourbon & cola pudding and so much more, it's all irresistibly delicious food to savour and share. If you want to cook low and slow on your Webber or Green Egg BBQ with outstanding results this is the book to buy.